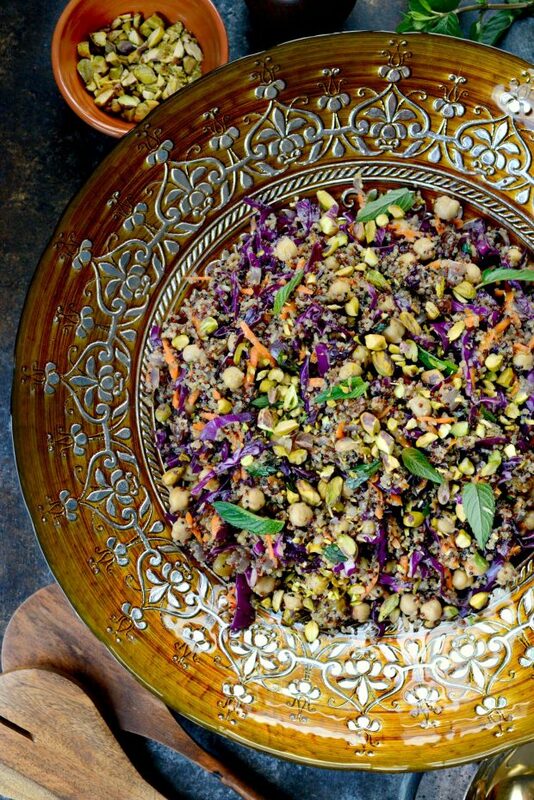 I’m back on the healthy train with this Moroccan quinoa pilaf. Not that I really ever got off it, but after a weekend of burgers, potato salad, potato chips and a few *ahem* grapefruit shandies- my body was craving vegetables and STAT. 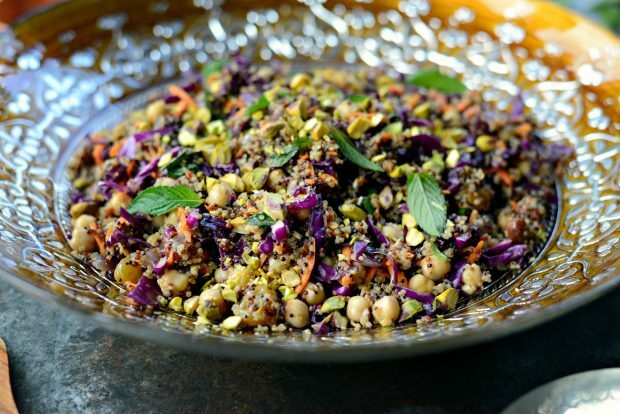 Think of this as a meatless main or even as a side dish to just about anything. Typically I serve this in a bowl with a fork and I’m good to go, but as a side addition to grilled chicken or salmon would be lovely. 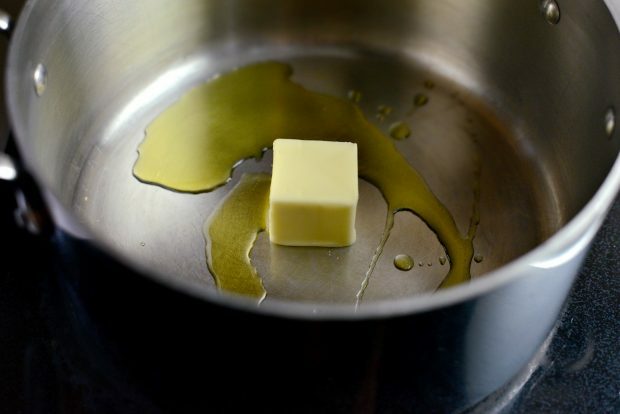 Melt 2 tablespoons of butter with 1 tablespoon of olive oil in a medium saucepan. 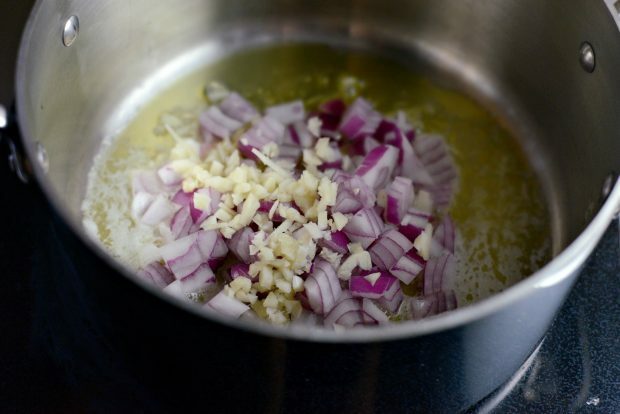 Once melted and starting to bubble, add 1 cup diced red onion, 2 cloves minced garlic and a small pinch of kosher salt. 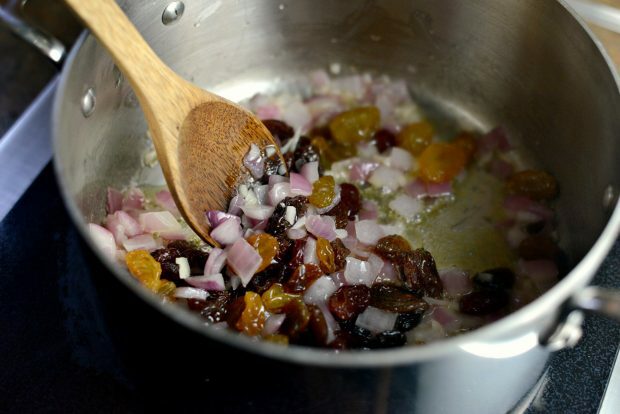 Stir and saute for 4 to 5 minutes or until soft, tender and fragrant. Then add in 1 tablespoon Ras el Hanout (Moroccan Spice Blend). 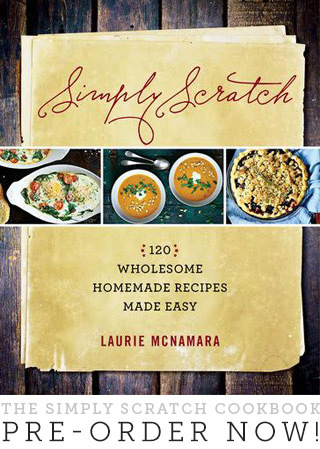 …and 1 cup of low-sodium chicken broth. Add in the cup of rinsed quinoa and bring to a boil. Once at a rolling boil, cover the pot with a lid and reduce the heat to low and simmer for 12 minutes. Remove off of the heat and let stand (covered) for 5 minutes before fluffing with a fork. 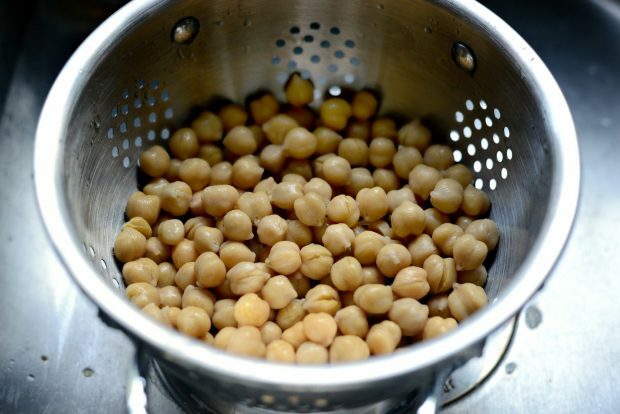 In the meantime, drain and rinse 1 (15 ounce) can of garbanzo beans (remove any skins if found). 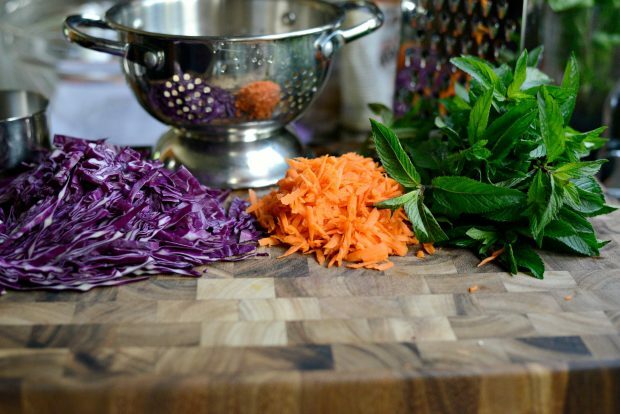 Slice up 2 cups of purple cabbage, grate a few carrots (for me it took 3 smallish to medium) until you have 1 cup and rinse and pat dry a few sprigs of fresh mint. 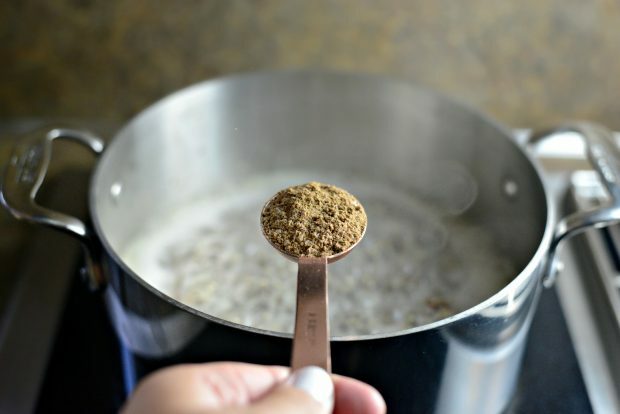 Once the quinoa is done add it, along with any remaining liquids in the pan, into a large mixing bowl. 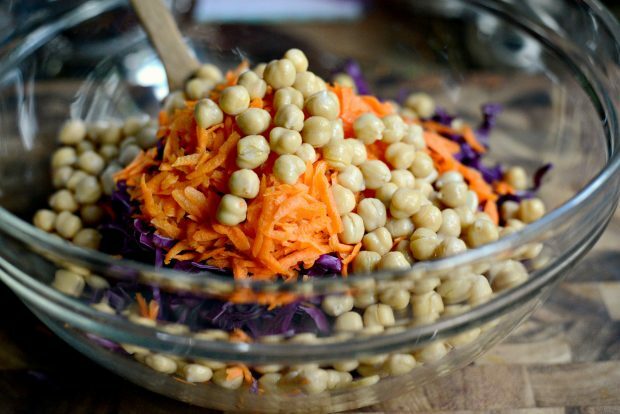 Add in the cabbage, carrots and garbanzo beans. 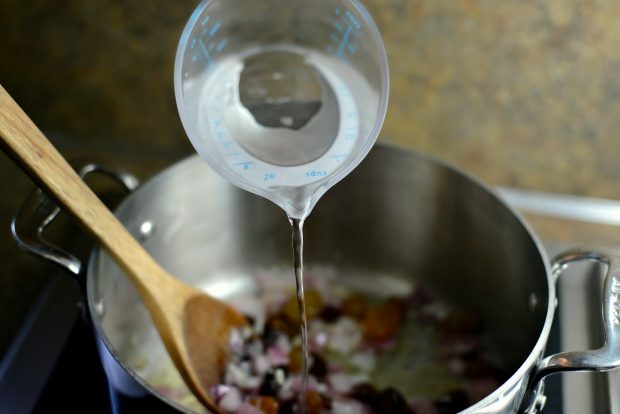 …taste and season with more kosher salt if desired. 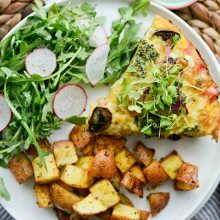 Serve while it’s still warm with a sprinkling of chopped pistachios and a few extra mint leaves. 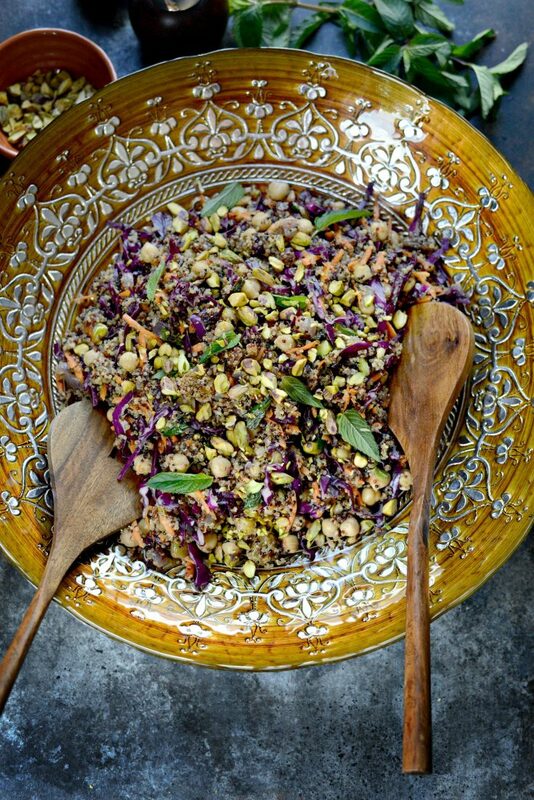 Texturally, I love the crunch of both the purple cabbage and the chopped pistachios. 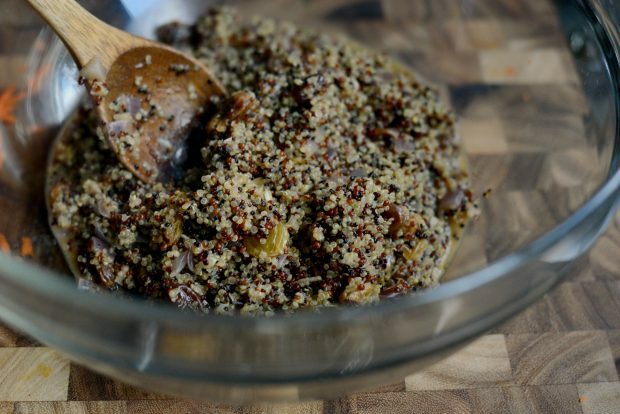 The soft, juiciness (and sweetness) from the plump raisins are delicious and the quinoa holds it all together. 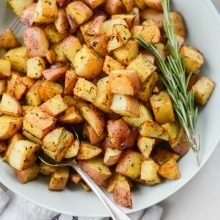 The Ras el Hanout is absolutely amazing, flavoring this dish with a punch to your taste buds and a little back-of-the-throat-kick from the cayenne. 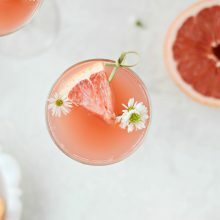 It’s delicious and healthful and pretty on the eyes too! 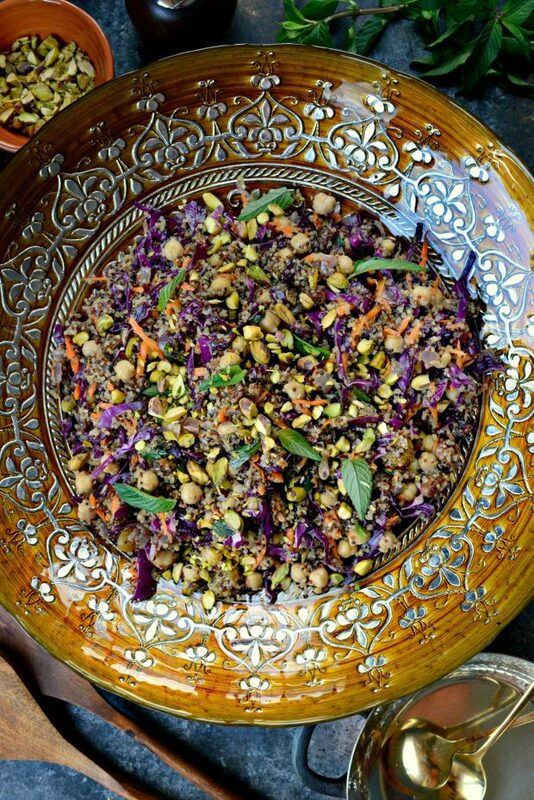 Rainbow quinoa is cooked with onions, garlic and raisins in broth before being tossed with purple cabbage, carrots and garbanzo beans. 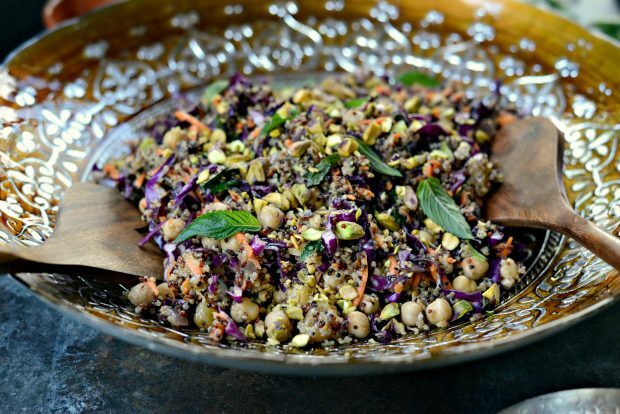 It's a gorgeous and healthful meatless main or side dish. 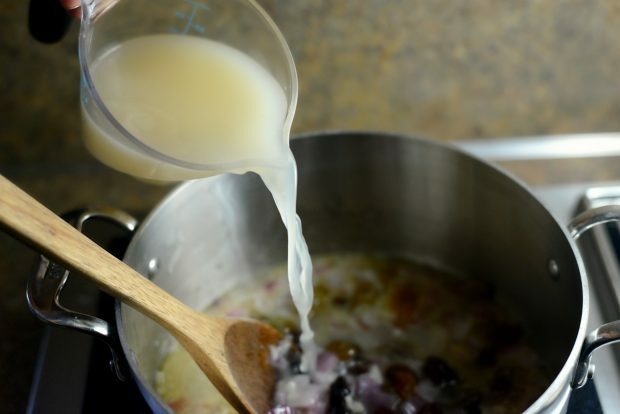 Melt 2 tablespoons of butter plus 1 tablespoon oil in a medium saucepan over medium to medium-low heat. 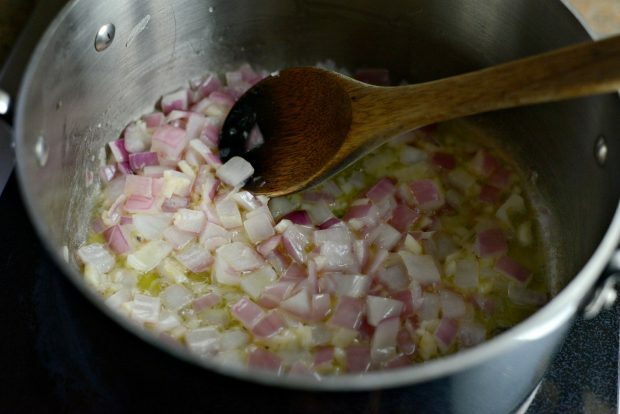 Add onions, garlic and a pinch of salt and saute until soft and tender, about 4 to 5 minutes. 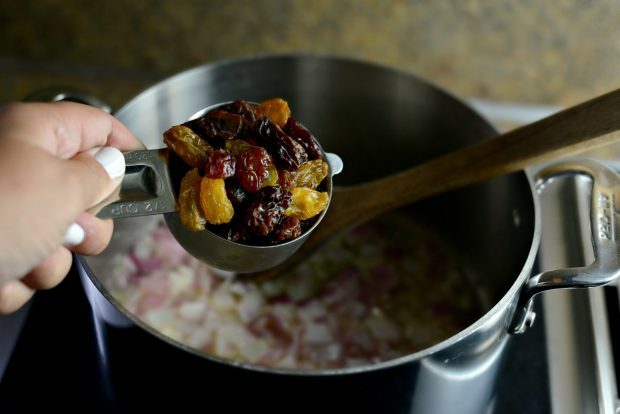 Increase the heat to high and add in the raisins and Ras el Hanout. Pour in the water and chicken broth, and add in the rinsed quinoa. Bring to a boil, cover and reduce heat to low. 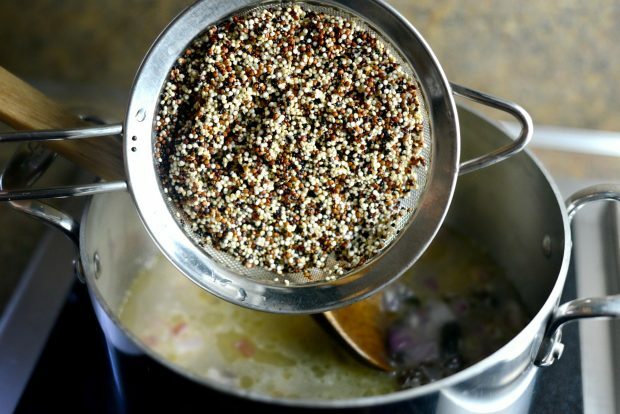 Simmer the quinoa for 12 minutes. Remove the pan from the heat and let stand (covered) for 5 minutes before fluffing with a fork. 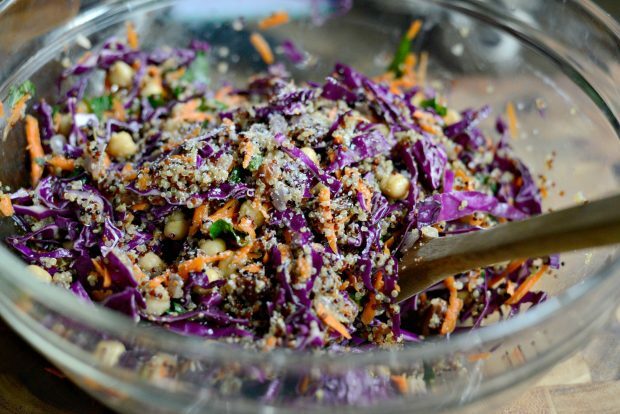 Add the warm quinoa (and any liquids leftover in the pan) to a large bowl. 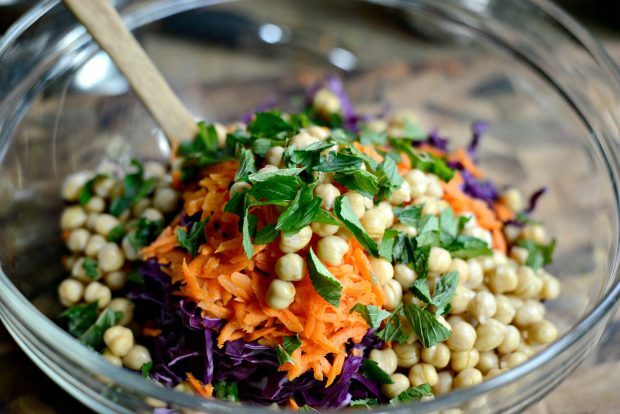 Add in the cabbage, carrots, garbanzo beans and tear the fresh mint leaves. 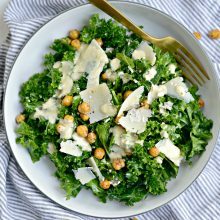 Toss the ingredients together, taste and season with more kosher salt if desired. 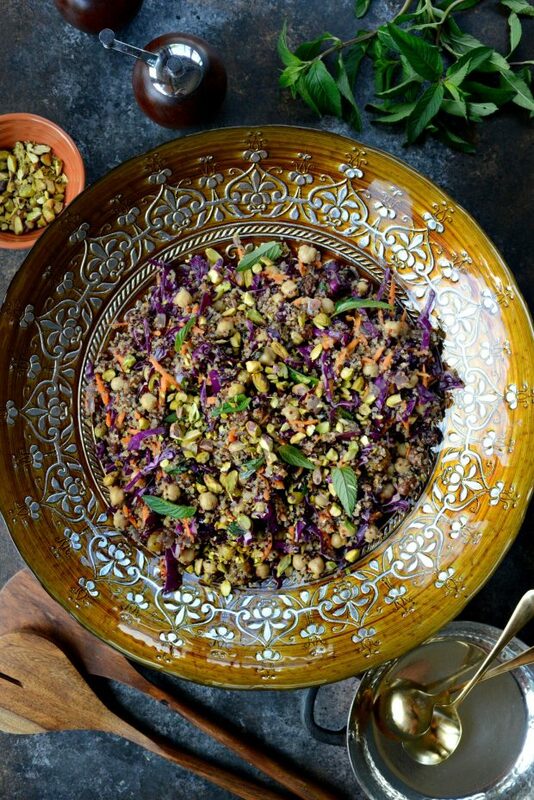 Transfer the warm pilaf to a serving dish, sprinkle with chopped pistachios and extra mint leaves and serve immediately. A party in your mouth!!! My 17-year-old has requested I repeat it. 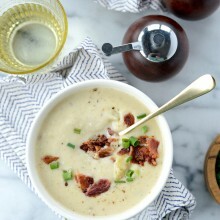 Several holiday partiers requested the recipe. And I can’t be happier that it is a complete meal in a dish – protein, green, purple, orange and filling. It’s got some sweet + some heat, crunch (but not too much), and the magic of fresh mint. Oh yes! I modified with way more garlic, a generous handful of chopped cilantro, subbed broth for the water, and I threw the whole package of mint in. And used a T less butter. 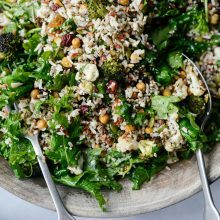 I had made it ahead and served chilled as a salad – goes both ways! So glad I now have that jar of Ras el Hanout (my first time using) for more and more and more of this flavorful gem.